A scene from the church yard, originally uploaded by Jonne Naarala. 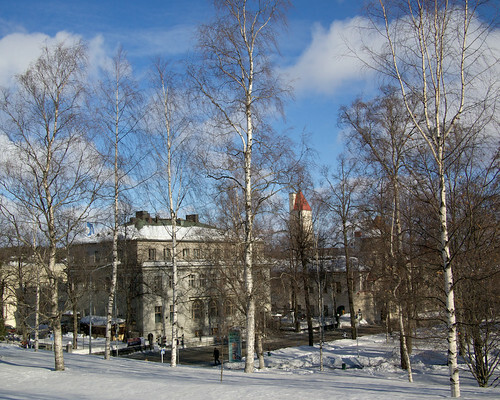 Shot from the frontyard of Kuopio Cathedral. I really like the “through the trees” scene here. 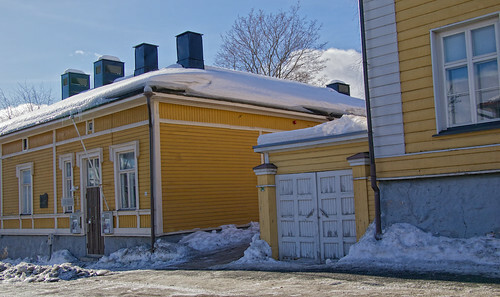 On the left side is the former Bank of Finland building and on the right side Kuopio museum. It was a beautiful sunny but windy day. The Victor Barsokevitsch Photographic Centre, originally uploaded by Jonne Naarala. One of the main photographic centres in Finland. 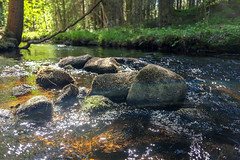 Located in, Kuopio, Eastern Finland, where I work and used to live before we moved in countryside. They have very good national and international exhíbitions there. You can find more info here.